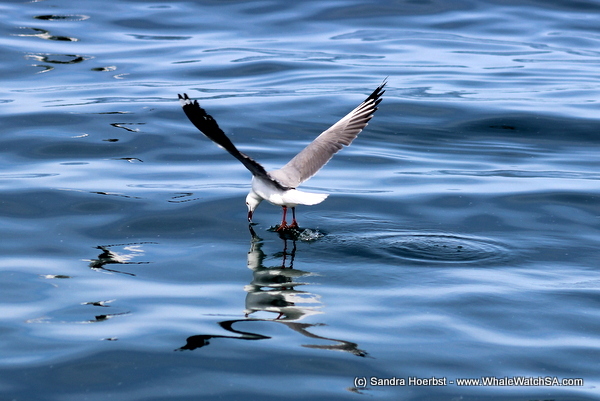 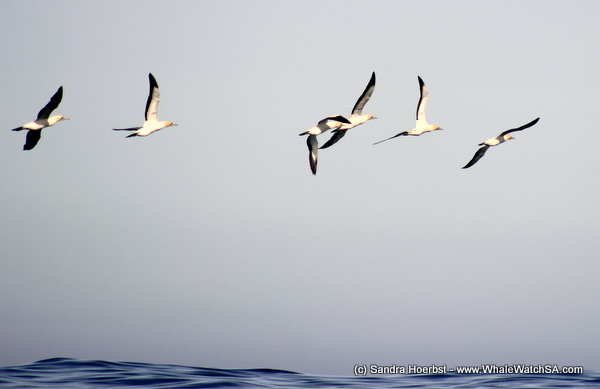 Whales, seals, penguins, sharks and many different birds, we had truly a great time at sea. 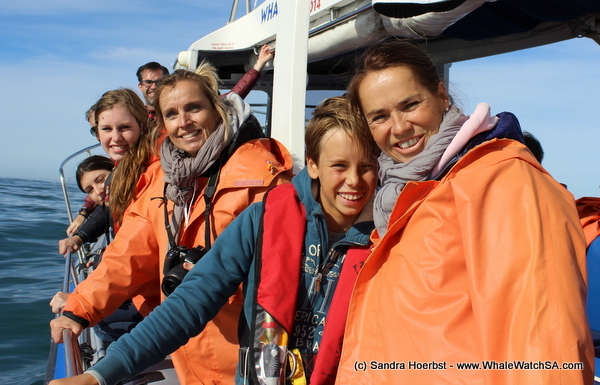 The sun was shining the whole day for us. 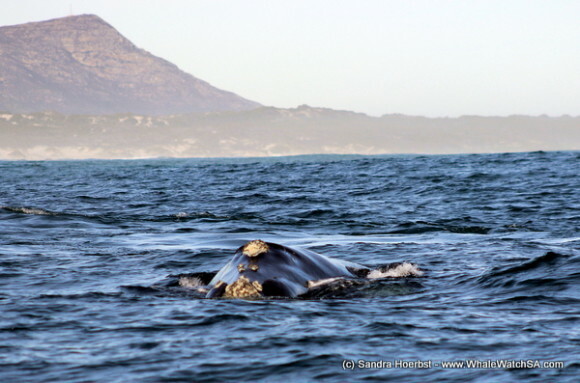 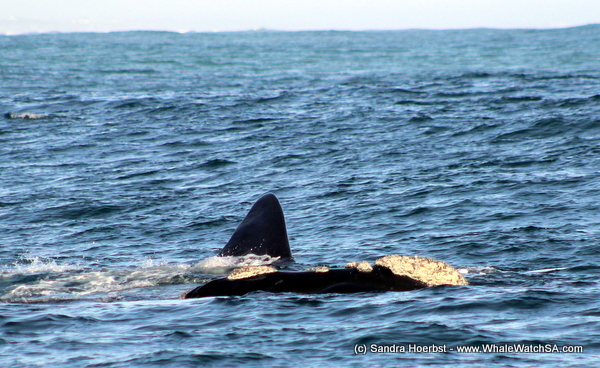 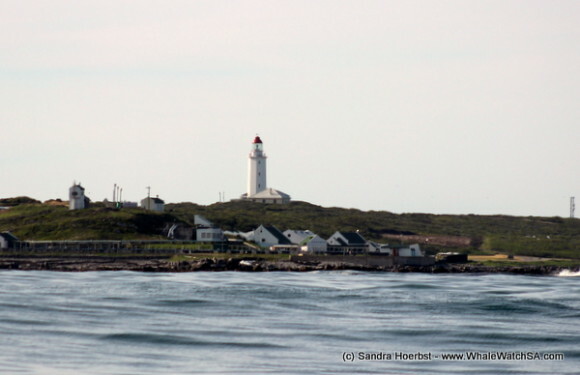 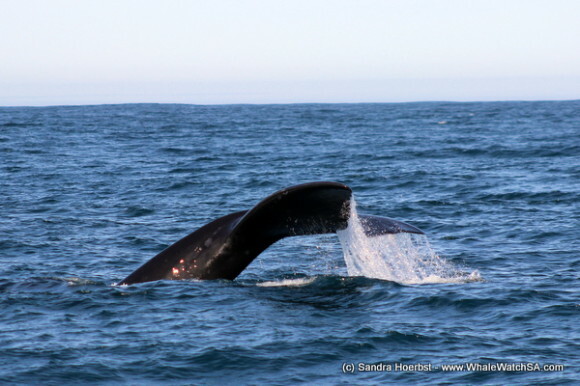 During the day we get to see Southern Right Whales behind Dyer Island and in Pearly Beach. 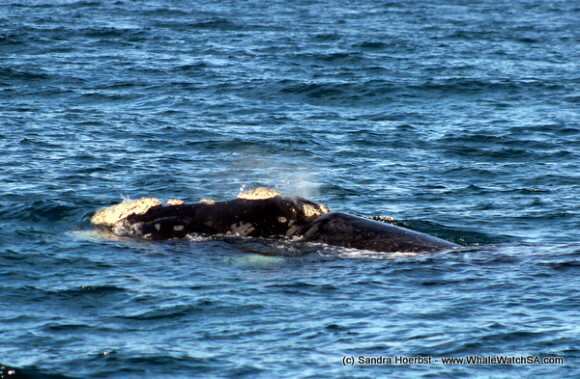 And we were really lucky to capture their impressive fluke on a picture. 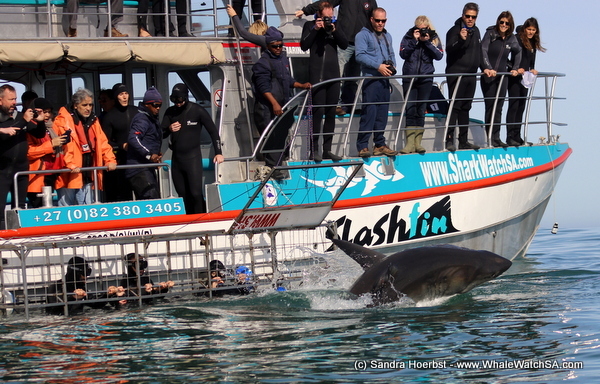 While stopping at Slashfin the shark cage diving vessel from our sister company Marine dynamics we got to see some Great White sharks passing their cage. On the way we passed the seals on Geyser Rock and spotted African penguins in the water. 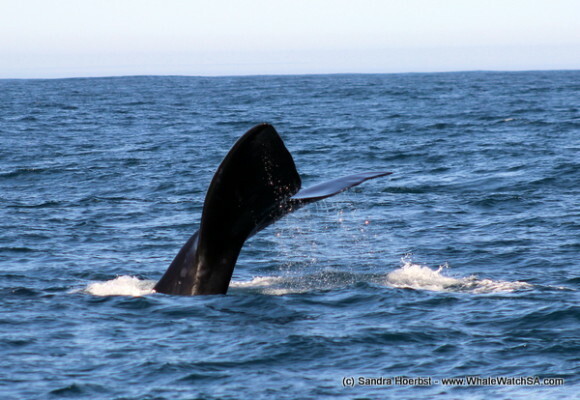 Could not had a better day.